Board-certified Gynecologist Dr. Kristine E. Gould details the arrival of Certified Physician Assistant, Nikki McCann as well as the recent growth of the practice. We are extremely excited to welcome Nikki into our family. Her passion, knowledge, and experience make her a perfect fit for our practice. 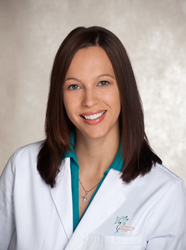 Gynecology Associates of Gwinnett is proud to announce the newest addition to their team of reproductive healthcare specialists, Nikki McCann, PA-C. Nikki McCann is a nationally certified Physician Assistant and Registered Dietitian. By combining Nikki’s personal experience and expertise to their existing gynecological services, Gynecology Associates of Gwinnett continues to establish themselves as the Gwinnett area’s leading provider of overall health and wellness services for women. Nikki McCann received her bachelor’s degree in Family and Consumer Sciences with a concentration in Nutrition and Dietetics from East Tennessee State University. After completing her degree program, she went on to pursue a master’s degree in Clinical Medical Science from Barry University in St. Petersburg, Florida. As a Physician Assistant and Registered Dietitian, Nikki specializes in providing preventative care for patients with a focus on nutrition and physical health. This includes nutritional counseling and much more. Along with the addition of their new provider, Gynecology Associates of Gwinnett is continuing to expand their schedule of Health & Wellness events. In addition to educational seminars like their recent Fertility Forum featuring Desireé McCarthy-Keith, M.D. of Shady Grove Fertility, Dr. Gould also hosts bi-weekly boot camp events with certified personal trainer, Cody Black. Health & Wellness events at Gynecology Associates of Gwinnett are intended to help women who wish to improve a specific aspect of their gynecological or overall health and wellbeing. Gynecology Associates of Gwinnett is a metro Atlanta-based general gynecology practice founded by board-certified gynecologist Kristine E. Gould, M.D. It is located at 601 Professional Drive, Suite 330 in Lawrenceville, GA. Dr. Gould is a board-certified fellow of the American College of Obstetricians and Gynecologists with over 12 years of gynecological practice experience. With a passion for offering the best, most up-to-date and technologically-advanced treatments available and a focus on personalized care, Gynecology Associates of Gwinnett offers a variety of gynecological health services and treatments including: Well Woman exams, birth control, FemTouch™ Non-Surgical Laser Vaginal Rejuvenation, diagnosis and treatment for menopause, urinary incontinence, female infertility, gynecological cancers, surgical procedures and more. They also host regular Health & Wellness events including educational seminars and boot camps. To learn more about their entire selection of treatments and services provided, call (678) 380-1980 or visit http://www.gyngwinnett.com to schedule an appointment.